Scenario 2: When I select input date - 31/12/1995 from the January Calendar of year 1996 Day: 31 Month: December Year: If I leave year default as 1996 as per previous case it should consider as 1995 because as per the below screenshot. I found the solution of this past week posting it late. 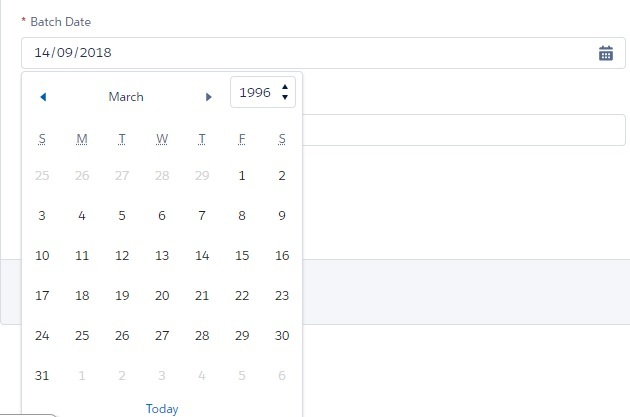 SOLUTION- We have Jquery file named as jquery.aljs-datepicker.In which you need to add logic for the previous year by just making the year variable -1 on selection of date 25 to 31 from the January month. We need to find the source of the formation of the date, which is forming the calendar rows. Then we need to get the data of row only of the month January, out of the calendar rows. Then we need to subtract the year by 1. Will be posting the code soon. Not the answer you're looking for? 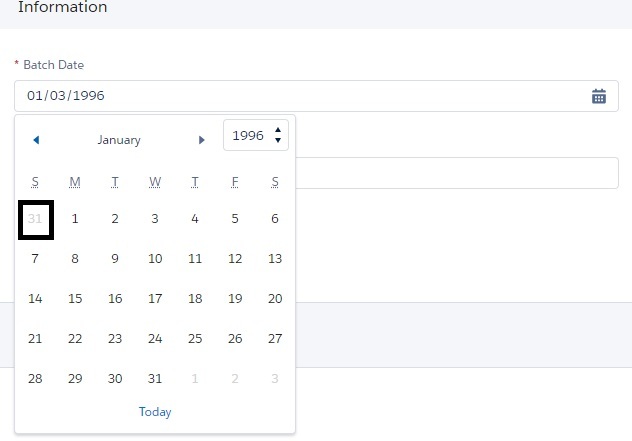 Browse other questions tagged salesforcedx calendar date-picker or ask your own question. How to retrieve start date and end date for fiscal month?